It is sometimes convenient to specify the component setup of a model in Blender instead of Unity3D, to hide implementation details and to make the life of artists and designers easier. This is for example useful to specify invisible hits, or areas that can’t be navigated by AI. The easiest way to do that is to use custom properties in Blender. Blender allows to add custom string, float or integer properties to an object. The custom properties that are attached to meshes, materials or textures are stored separately, and are currently not picked up by Unity3D. The new binary FBX exporter (from Blender version 2.71+) can write these values to a FBX file, which Unity3D can pick up during import. The automatic Blender importer in Unity3D still uses the old Ascii exporter, so you need to either export files manually, or modify the Unity3D import script to select the new exporter. I think it is a good idea to get the latest FBX exporter scripts from the nightly build, to get many fixes over the version released in 2.71. The new binary exporter needs to be selected, and “custom properties” needs to be enabled. I modified my Blender and Unity3D scripts to always use the new exporter and have “custom properties” enabled when models are imported. 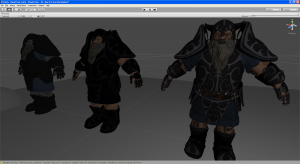 On the Unity3D side they are received with AssetPostprocessor.OnPostprocessGameObjectWithUserProperties. It is a good idea to start with the example script to see if the custom properties are coming across. 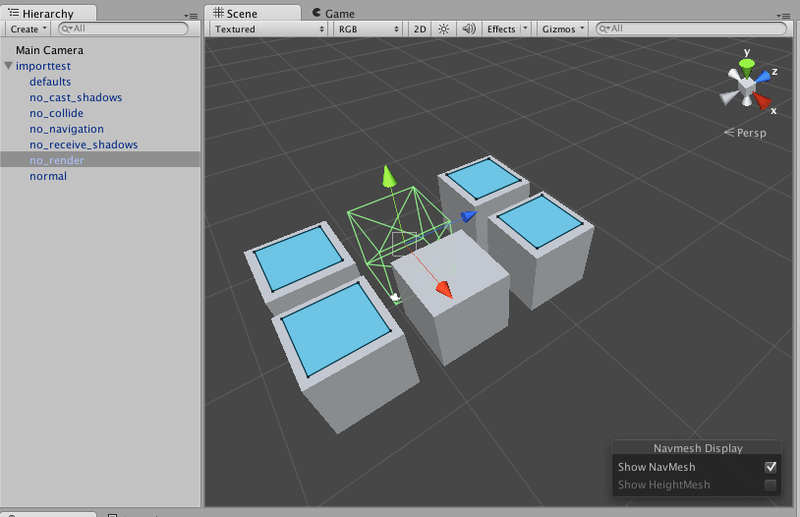 It is of course possible to add more game specific components to a GameObject. It seems to be safe to delete components, though deleting GameObjects causes an error. I just mark those objects as EditorOnly. My AssetPostprocessor script is probably a bit overkill, because it supports setting file-global defaults in an Empty called “defaults” in Blender. If you hardwire the defaults you may be able to just process the properties once in OnPostprocessGameObjectWithUserProperties. 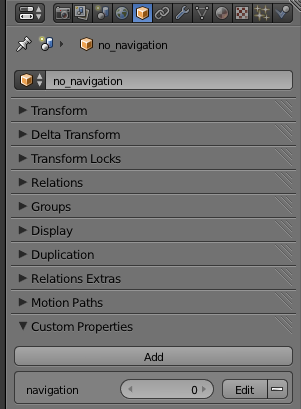 That function is called once for each Blender node that has custom properties. To process all GameObject nodes you need to handle OnPostprocessModel as well. // I can't seem to delete this without errors, so let's just mark it "Editor only"
This entry was posted in Blender, Unity3D on October 5, 2014 by jens_restemeier. Blender 2.71 is out and available for download. The good news is that my patch to fix the problems with the space transforms was accepted and is included in the new binary FBX exporter. The bad new is that a later change broke it, so that only the root node has the space transform baked in. For simple meshes that are attached to the root node that may be fine, but on models with a more complicated hierarchy this means that the problem has now moved to the first child node of the model root. I submitted a patch to fix this but it probably missed the deadline for the 2.71 release. I’ll try to get it accepted into Blender 2.72, but I’ll probably have to provide another option to support people who rely on the 2.71 behaviour. At the moment Blender crashes when called from Unity3D but I haven’t worked out if the problem lies in a change in Blender or Unity. Running the Unity export script from the command line works fine, so it may be some problem with the way Unity launches Blender. The automatic pipeline still uses the Ascii exporter, so it doesn’t benefit from the fix anyway. Updating the DLL fixes the crash for me. This entry was posted in Blender, Unity3D on June 29, 2014 by jens_restemeier. Editing and scrolling are very fast and I like the controls for placing and moving objects. When I wrote the importer it was mildly irritating that many of the XML tags have a dash in them, which breaks word selection when copy and pasting tags into sourcecode. 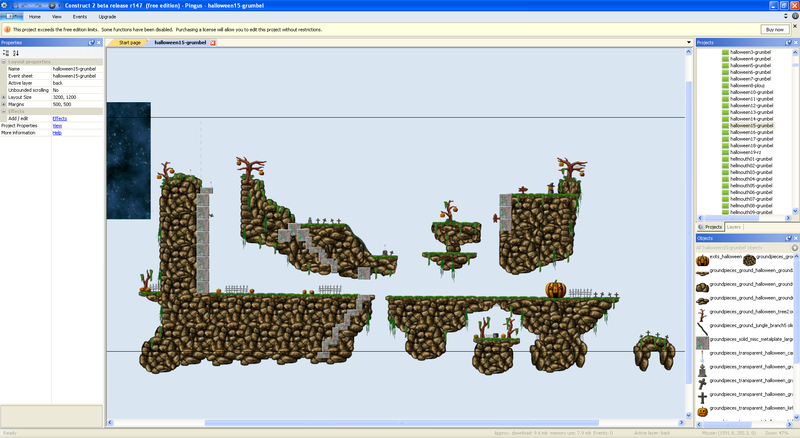 Construct 2 manages sprite and animation bitmaps itself, which may add a bit of extra work if you want to manage your own sprite sheets for editing. You can add your own properties to an object type. It would be useful if you could group layouts or object types into folders, because the flat lists get a bit awkward to browse in a huge project. 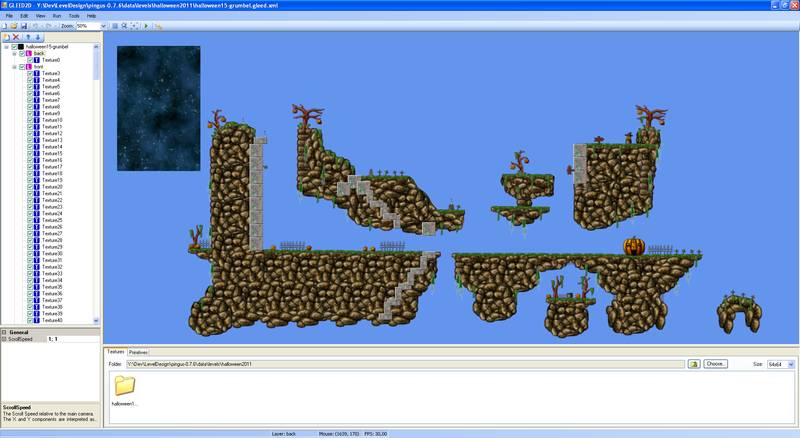 This entry was posted in Construct 2, Level editing on June 29, 2014 by jens_restemeier. A question that comes up often in Unity3D support forums is how to import animation events from an application. 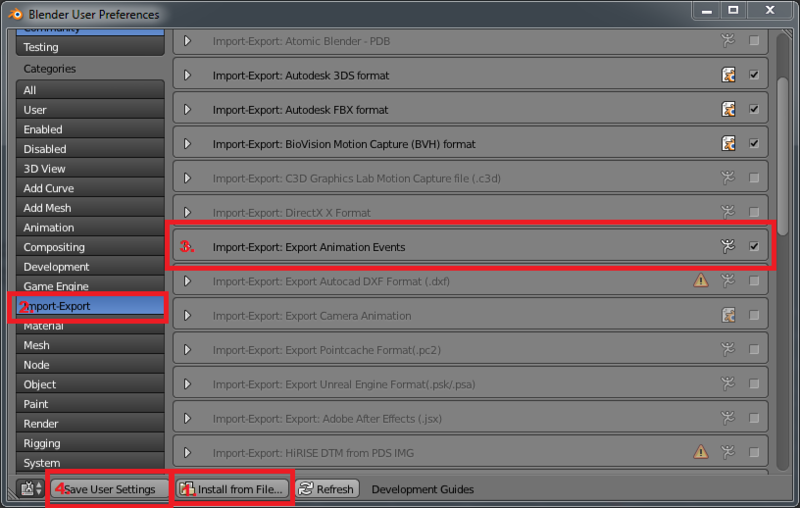 There is no built in way to do this, but it is possible create a custom system by adding an exporter and importer for animation events yourself, in this example for Blender. This is an example implementation for Blender. To start it should be imported into an empty project because it is likely that each team wants to customise the scripts to suit its workflow. This is a new version with support for Mecanim. Open “File/User Preferences…” and the “Addons” panel. The File/Export menu should now have an “Anim Events (.xml)” entry. The default import script looks for events with the name modelname.events.xml, but you can adjust the import script to use a different naming convention if that suits your workflow better. Blender supports both Timeline Markers, which are part of the scene, and Pose Markers, which are part of an action. The import script only looks for pose markers, but the timeline markers are exported as well. I assume you set up your Blender scene to have one action for each animation, so that they are imported as separate animations into Unity3D. By default markers in Blender are created on the timeline, but when “Show Pose Markers” is enabled in the action editor markers are created as part of the action. Pose markers show up as tiny diamonds in the dope sheet, while timeline markers are displayed as tiny triangles. The marker name needs to be appropriate for the animation event you want to trigger. In my example implementation I just write them out in a similar format as they are displayed in Unity’s animation editor, but it is possible to just reserve a few keywords that the importer then processes into animation events. The example exporter writes to an XML file, but it is equally possible to use csv or plain text files. 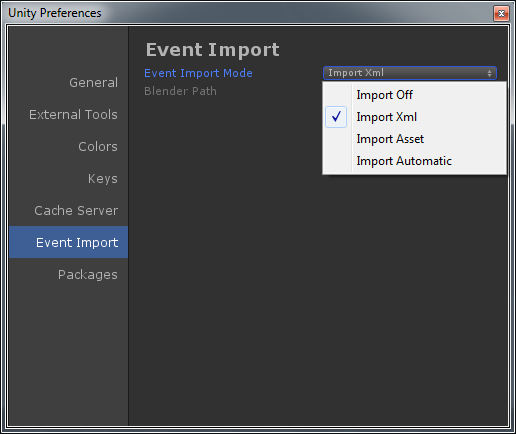 I implemented three different import methods in Blender that are available from a preference pane. Import XML looks for modelname.events.xml and applies the events in that file to the animations of a model during import. Import Asset looks for modelname.events.asset . This can be used if you don’t want to specify animation events in Blender. To get an empty asset you need to select the model in the project view and select “Window/Add Event Data”. For production use it would be worth wrapping the class with a custom editor. Import Automatic runs Blender in the background, exports animation events into the temporary directory and imports them right away into the model. This only works with .blend files. To make this work you need to specify the path to the Blender executable. This is implemented by adding an AssetPostprocessor with OnPostprocessModel handler that is called whenever a model is imported in Unity. At the point when the handler is called the model and animation data is still writable, so it loads the event descriptions from a second file (modelname.events.xml or modelname.events.asset) and adds them to the appropriate animations. I would use the automatic import if models are kept as .blend file in the project, the XML import if models are manually exported into .FBX files, and the asset importer if the animation tool doesn’t support events. Animation events need to be received by a behaviour. This example behaviour is added automatically by the asset postprocessor, so each team will most likely want to customise it for their projects. Running Blender from the asset postprocessor is the least invasive method, but requires Blender to be run twice, once for exporting the FBX and once for the animation events. 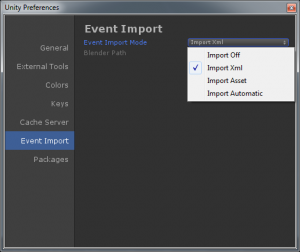 An alternative is to run the animation event exporter whenever an FBX is exported, either from the Blender side or the Unity side. The Blender script to export FBX lives at “Program Files\Blender Foundation\Blender\version\scripts\addons\io_scene_fbx\export_fbx.py” and the Unity3D script to run Blender is at “Program Files\Unity\Editor\Data\Tools\Unity-BlenderToFBX.py”. Though customising these scripts may mean more work across a big team or when updating Unity or Blender. Another option is to keep Blender running in the background and sending commands to it, similar to how the Max and Maya pipelines work in Unity3D. Mecanim has an interface to add events during import so I modified my scripts to add new events to events specified this way. Unfortunately there doesn’t seem to be an official API to get the imported animation clips when using mecanim. I’m using Object.FindObjectsOfType (typeof(AnimationClip)) which picks up some other animation clip objects as well, and there doesn’t seem to be a way to identify which belong to the import. At the moment I rely on clip names not having any conflicts. Please let me know if you run into problems. Assets\Scripts\EventReceiver.cs Example implementation of a MonoBehaviour that receives animation events. It will be added automatically to an imported model. This entry was posted in Blender, Unity3D on February 24, 2014 by jens_restemeier. The editor rounds up texture sizes to the next power of two, and scale factors and the rotation origin are relative to this scaled up size. That makes importing and exporting levels slightly more complicated. In most cases I would pack background sprites into an atlas before rendering, so I can’t think of many reasons for expanding individual sprites to power of two. 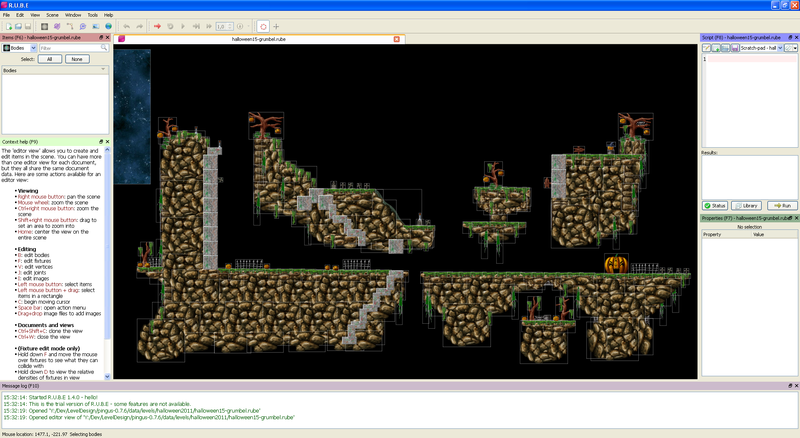 Level drawing and editing is very fast, and the image browser makes it very fast to add new sprites to a level. You can specify custom properties, but they are attached to a sprite instance and not a sprite definition. It is possible to specify programs to run after a level is saved or to preview a level in a game. Documentation seems to be only available as videos, which I find more time consuming than reading documentation, especially when I need to look up specific features. The image browser caused an exception when displaying a large sprite directory. I’m not sure if it ran into a windows resource limit or just failed to load a file, but I think for a proper project you would organise sprites into smaller subdirectories anyway. 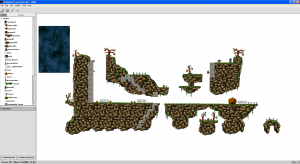 This entry was posted in GLEED2D, Level editing on November 24, 2013 by jens_restemeier. 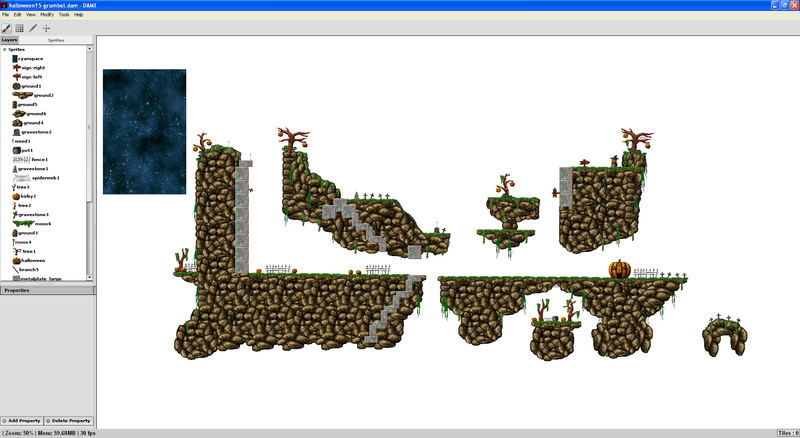 Editing and scrolling a level becomes very slow, even in small levels. To be fair, though, the entity layer is good enough for placing enemies and traps. Changes to the project definition require levels to be closed and reloaded. 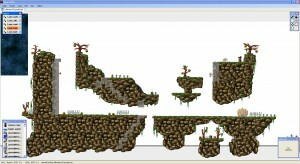 It is possible to attach custom data to levels and sprites. OGMO writes project and level data in XML format that is easy to read and write. One thing to watch out for is that the file format uses localised floating point format, so an international team with mixed locales may run into problems when exchanging levels. The rotation origin seems to be the unscaled origin, and scale is the top left corner. There doesn’t seem to be any written documentation and at the moment the website only contains a few tutorial videos, so a lot of the user interface needs to be explored by trial and error. 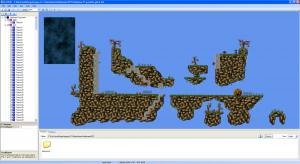 This entry was posted in Level editing, OGMO on October 31, 2013 by jens_restemeier. This is a first experiment to import layered textures from Blender into Unity3D. 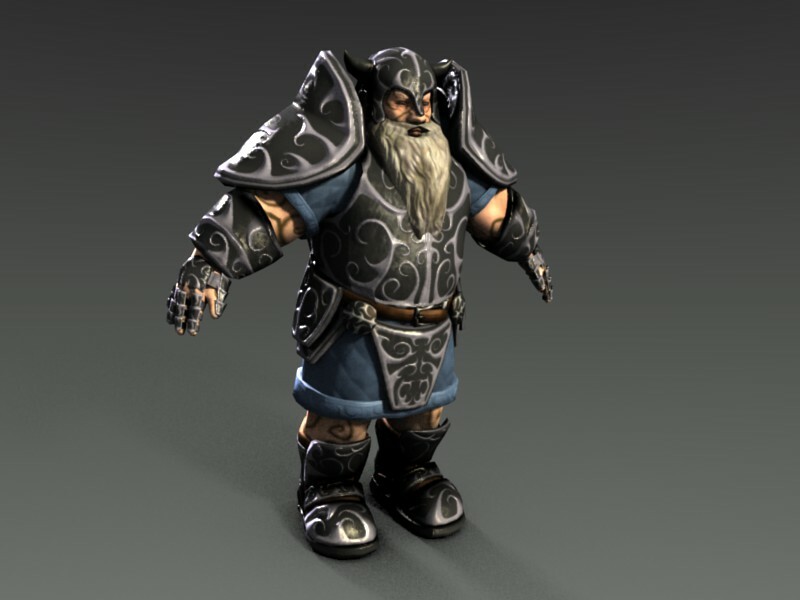 This still uses the default Unity3D lighting function, but combines the texture layers that are on the Blender shader. 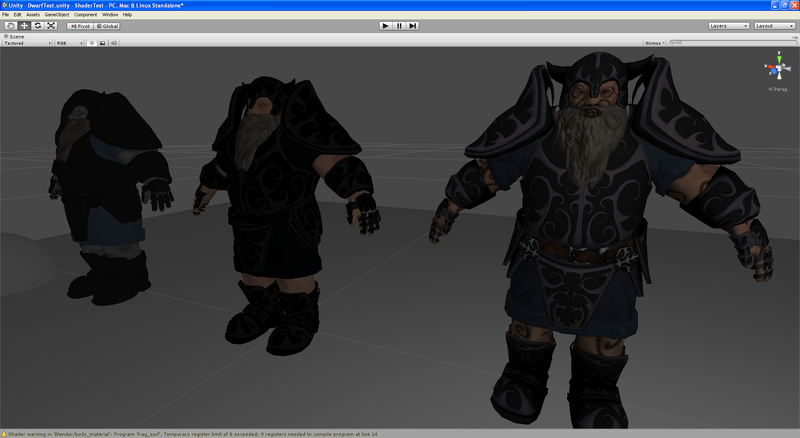 The left dwarf is imported with the default exporter, the middle dwarf uses the improved exporter I am working on, and the right dwarf uses an improved material importer. 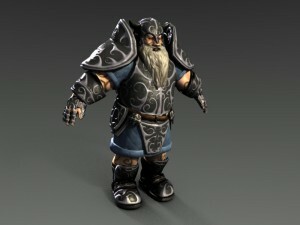 To compare, this is the dwarf rendered in Blender. This entry was posted in Blender, Unity3D on October 18, 2013 by jens_restemeier. There is no way to add custom attributes (at least in the version I tried), and no way to specify groups or layers. It seems to stall whenever it needs to go through sprite data, for example after zooming or scrolling, or after changing the selection. This is most likely caused by the number of sprites, and with a more appropriate scene size for animation it shouldn’t be a problem. I do quite like the user interface, and I imagine a more organic looking level with many animated elements would look very good. For now it may be a better idea to just animate parts of a level in Spriter and use a different editor to build the complete level. This entry was posted in Level editing, Spriter on October 16, 2013 by jens_restemeier. Zooming out is disabled by default and enabling it can break map rendering. Air renders everything through the Flash player which seems to eat up quite a bit of rendering performance. It uses custom UI widgets which look and feel slightly different to the platform default widgets. DAME uses an XML based file format that is easy to read and write, you can attach custom properties to sprites, and you can set a scroll factor on each layer to preview parallax effects. Sprites can be animated and can have per-frame collision data. It is possible to group the sprite information into folders to make it easier to find specific sprites. DAME uses Lua to implement custom level exporters. This entry was posted in DAME, Level editing on October 13, 2013 by jens_restemeier. R.U.B.E is very fast, but feels very low level. I don’t like that editing different elements requires mode switches and that some functionality is only bound to keyboard shortcuts, but that probably makes it very fast to use once you’ve learned them. Some of the editing keys feel familiar from Blender, so a Blender user may be at an advantage. R.U.B.E embeds AngelScript as a scripting language to extend and customise the editor. It would be useful to be able to organise a scene into different layers. Similar to Inkscape I am missing some kind of library to store reusable gameplay elements, but this could probably be implemented using the scripting language. The file format is designed around the Box2D runtime, but with a bit of work it is possible to use it in a different engine. It is a JSON document that can be easily accessed from many programming languages. Update: For some reason the spambots like this post, so I disabled comment posting. Sorry about that! 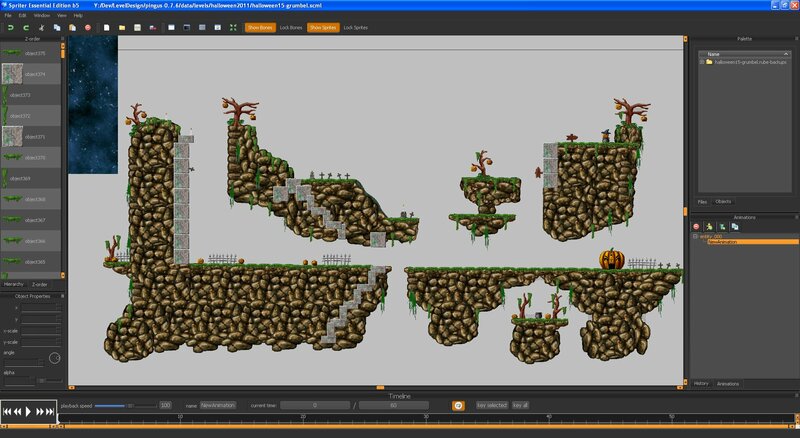 This entry was posted in Level editing, R.U.B.E on October 11, 2013 by jens_restemeier.